The Chinese and African media houses agreed to deepen cooperation in information sharing, best practice and training to improve the dissemination of information about Sino-Africa relations. 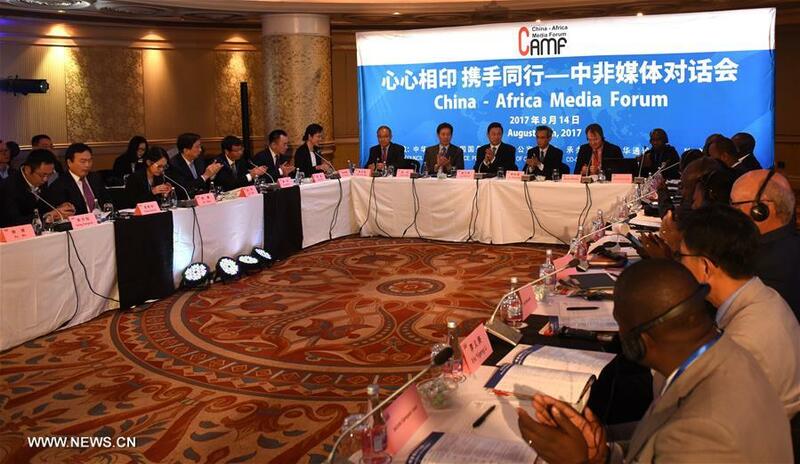 At the China-Africa Media Forum held in Johannesburg, over 40 media delegates from China and 11 African countries gathered to explore new areas of cooperation. Guo Weimin, deputy director of the State Council Information Office of China, said the media should complement the political, economic and people friendships which are existing. Chinese and African media should counter the Western media which tend to portray the continent as that characterized by wars, diseases and poverty. “The Chinese and the African media should counter the Western media stereotype. You should report truthfully about the Sino-Africa relations. The Chinese and African media should walk hand in hand and strengthen reporting in international affairs and make our voices heard on issues of fairness and rationality,” said Guo. 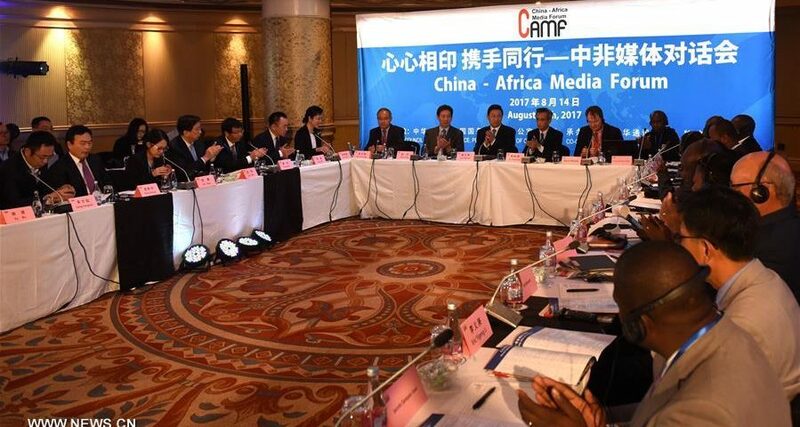 Guo called on Chinese and African media to forge new structures on cooperation in the media and challenge the monopoly of the western media. Lin Songtian, Chinese Ambassador to South Africa said the media should articulate success stories of both partners. He said China is in Africa for a win-win situation to help build infrastructure, transfer skills and create jobs, and the media should work towards strengthening the Sino-Africa relations. “African and Chinese media should work towards common development. We have to build the positive image of our relations, share our common values, friendship and common interest. Both sides should stand up and loudly tell people of the world who their true and reliable friend is,” said Lin. Lin challenged the Western media to visit the quality infrastructural projects in Kenya, Zambia, Ethiopia and other African countries so as to report factually. Tendai Manzvanzvike, Zimbabwe’s Herald chief editor said Sino-Africa cooperation is required to break the Western media monopoly which is meant to suit a particular agenda. “No African country is in a win-win situation with the West, but they have with China. Opportunities abound for media cooperation, opportunities that can be vehicles for development and prosperity. One of the issues that the African media has to learn from its Chinese counterparts is reporting on developmental issues, reports that would enable development-oriented policy making by governments,” she added. She hailed China for improving the information technology infrastructure thereby benefiting the African media. The Zimbabwean praised China for offering African media practitioners training and refresher courses. Manzvanzvike suggested that resources should be availed to enable more Chinese media practitioners reporting the African story from African media houses, and vice versa. “Instead of having a few media personnel trained in Mandarin, it should be a major requirement that schools that offer journalism and media studies include foreign languages, and one of the key languages should be Mandarin,” she said. Kevin Ritchie, regional executive editor of Independent Media, said South Africa’s BRICS membership has enabled the country an opportunity to harness with a different part of the world particularly nations with very similar backgrounds and challenges. “BRICS not only offers us a very real opportunity to mitigate these risks both economically and socially, but in particular by being able to provide and contribute to a different narrative, which is precisely where we come in as the media. There are many outside of the BRICS arc, particularly in the traditional poles of power, who have a vested interest in seeing BRICS fail or ignoring it altogether,” he added. Ritchie said media organizations within BRICS are duty bound to place the bloc story on the agenda. They (BRICS media) have a duty to report about economic opportunities and other success stories. “As media from China and South Africa, we can use this opportunity to forge bonds, to learn from one another, to discuss the shortcomings we might have and find solutions to problems that are actually common to both of us, reflecting the needs of our realities, ” said Ritchie. Andrew Kagwa Gathaara, chief editor of Kenya’s Standard said Chinese media practitioners are currently on attachment in African media houses, and they have employed Africans to tell their own story. With the theme of Win-win Cooperation for Common Progress, the China-Africa Media Forum was hosted by the State Council Information Office of China, and co-organized by China’s Xinhua News Agency and South Africa’s Independent Media.